Carol Creighton Burnett was born in San Antonio, Texas, but eventually moved to Hollywood to be raised by her grandmother when her parents separated. She graduated from Hollywood High School, and went to college at UCLA, studying to be a playwright but also loving to perform. She left college her junior year to move to New York City, and a year later put on a revue show from the actor’s boarding house where she was staying, which launched her professional career. She had a role in “Stanley,” a Buddy Hackett sitcom from 1956, but achieved more notoriety with her night club act, which included her signature parody song “I Made a Fool of Myself Over John Foster Dulles” (Dulles was the Secretary of State at the time). She moved over to Broadway in 1959 to play a major role in “Once Upon a Mattress,” and became a regular on “The Garry Moore Show” in 1960. Throughout the 1960s, Burnett had a Emmy-winning TV special with Julie Andrews (“Julie and Carol at Carnegie Hall”), and appearances in “The Twilight Zone,” “Gomer Pyle, U.S.M.C.” and “The Lucy Show,” with her mentor Lucille Ball. When CBS-TV offered her a sitcom, Burnett decided to exercise a clause in her Garry Moore contract that would allow her to create a variety series. 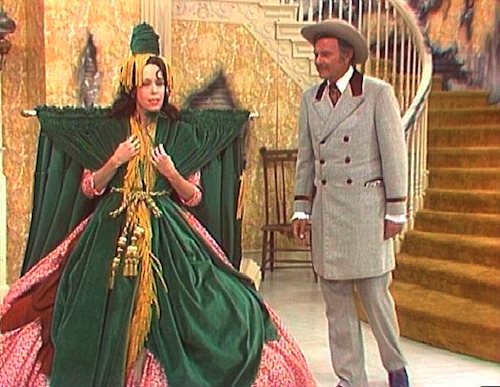 “The Carol Burnett Show” was born in 1967. From 1967 to 1978, the show became a cultural touchstone, with its combination of music, guest stars and sketch comedy, with regulars Vicki Lawrence, Harvey Korman, Lyle Waggoner and Tim Conway. Burnett’s signatures including the audience Q&A, her Tarzan yell and sketches that became classics… “Went With the Wind” (a “Gone With the Wind” parody), the soap operatic “As the Stomach Turns” and “The Family,” which eventually spun off to “Mama’s Family.” In the “Went With the Wind” sketch, designer Bob Mackie – who made 17,000 costumes over the run of the show – created the “curtains dress,” that hilariously opened and closed. Burnett would also sign off each episode with an earlobe tug, a gesture for the grandmother who raised her. She followed up “The Carol Burnett Show 50th Anniversary Special” (on CBS-TV in 2017) with her live touring show, “An Evening of Laughter and Refection,” which is appropriately subtitled, “A Conversation Where the Audience Asks the Questions.” Photographer Joe Arce of HollywoodChicago.com took this Exclusive Photo of Carol Burnett during the show’s run at the Chicago Theatre on June 12th and 13th, 2018. 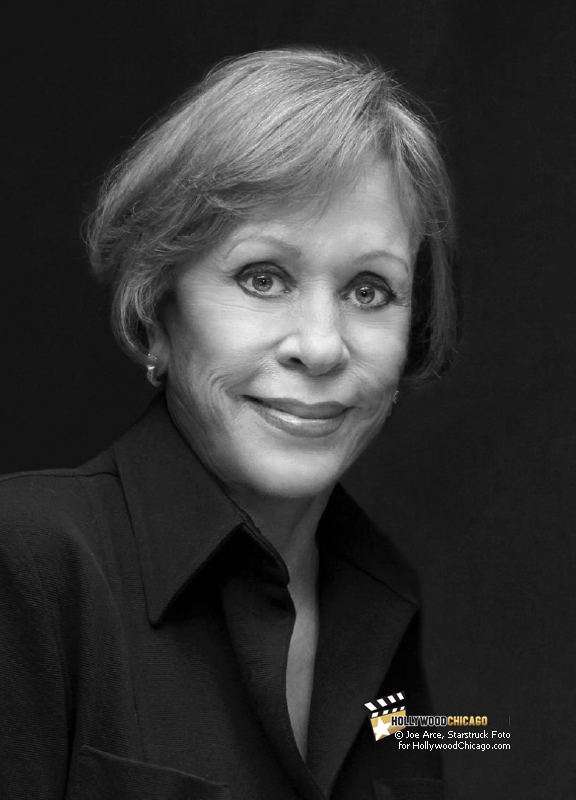 For ticket information regarding the upcoming 2018 schedule for Carol Burnett’s “An Evening of Laughter and Reflection,” click here. Source for this article from Wikipedia.com.